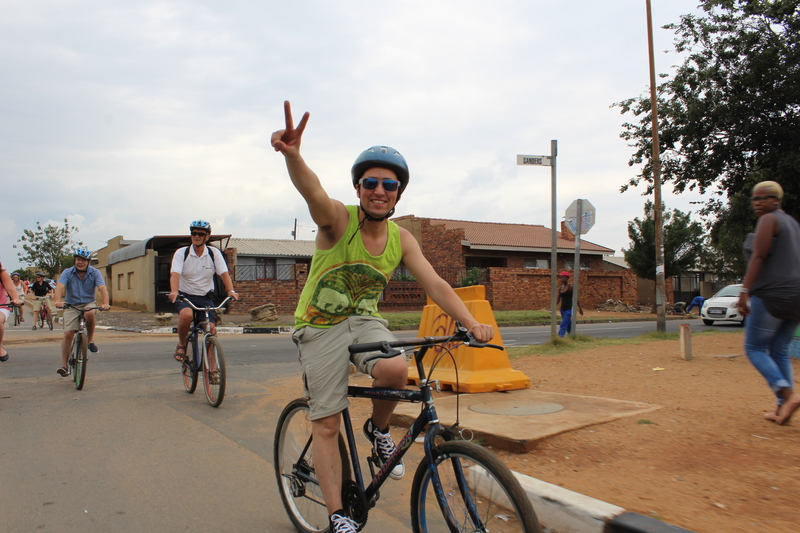 Zodwa and Bongani lead this 5 hour bicycle tour, uncovering the public street art, local cuisine and history of the Braamfontein precinct. 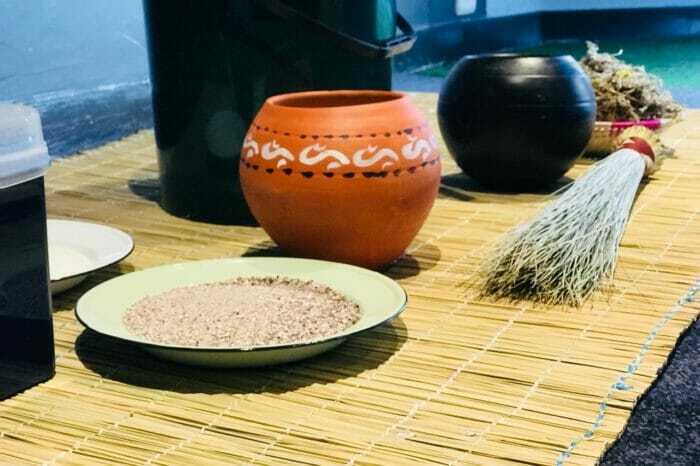 Interact with locals, eat street food and learn about the dark history of the City of Gold. Visit a rooftop bar for epic city views, check out the oldest bar in Johannesburg and stop at a lunch hot spot that serves the traditional Bunny Chow and Kota – build your own! We also stop by an art gallery that has pieces of art collections from all over Africa that date back to the 1600’s. Zodwa first joined our team as an intern in February 2017 and hasn’t looked back since. 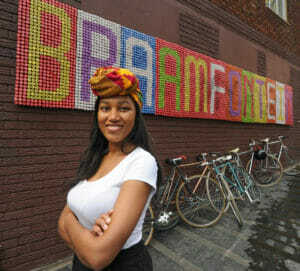 She is now front office duty manager and founder of Braam by Bike tours. Zodwa was born in Cape Town but grew up in Soweto, Gauteng, the most vibrant and largest township in South Africa just 20 minutes from Johannesburg’s city centre. She was motivated to join the travel industry as she wanted to change the world’s perceptions of Africa through tourism. After travelling to Canada, she realised that many people perceived South Africa as an unlivable country where danger governed peoples’ lives. Zodwa wants to change this and educate guests of the amazing depth of diversity, culture, art and cuisine that Johannesburg offers. Bongani is not only a professional tour guide, but also well known artist in South Africa. His love for art and culture inspired him to start Jozy Triangel Tours, a company that specialises in street art and graffiti in and around Johannesburg. 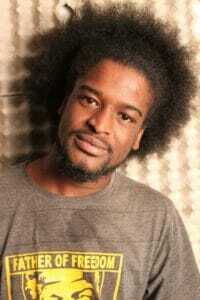 He educates people on the raw side of the city through sharing the messages and stories behind the pieces of art. When he was young, he would observe his uncle draw with coal, fascinating him. It inspired him to start drawing. His passion for art grew when exposed to one of the first South African compiled history books. This book gave him insight into cave paintings, giving him the backbone to understanding his intrigue for drawing. \Throughout his young childhood he started exploring graffiti fonts with his cousins and with the more research he did, the more deeply in love he fell with the graffiti movement. Let us introduce you to our area of Orlando West and take you around our neighboring communities. Stop and greet people, get to know the history and how these communities are today. 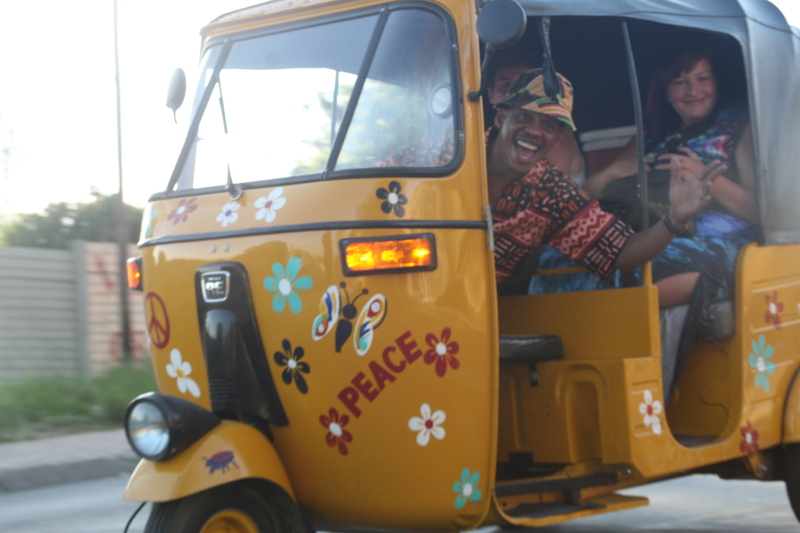 A shorter tour of Soweto that will take you to some of the most interesting historical sites around Soweto.